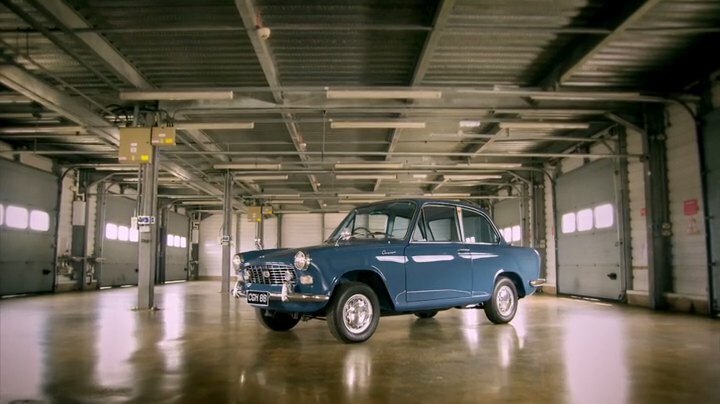 IMCDb.org: 1964 Daihatsu Compagno Berlina [F40] in "James May's Cars of the People, 2014-2016"
The Compagno was the first Japanese car to be officially imported into Britain, with CGH 8B being the original Daihatsu press car so was road-tested by all the magazines and newspapers at the time. 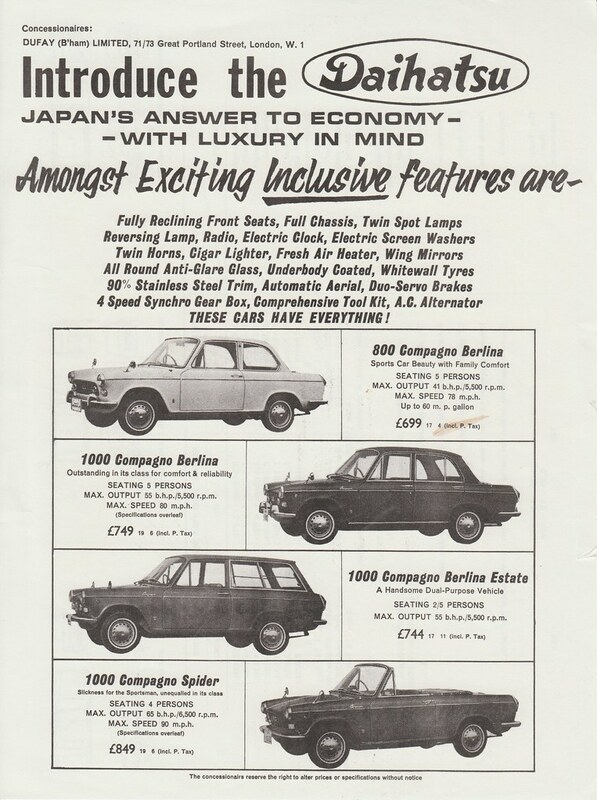 Launched at Oct 64 Earls Court Motor Show for £798, including built-in radio as standard. Not many sold here.